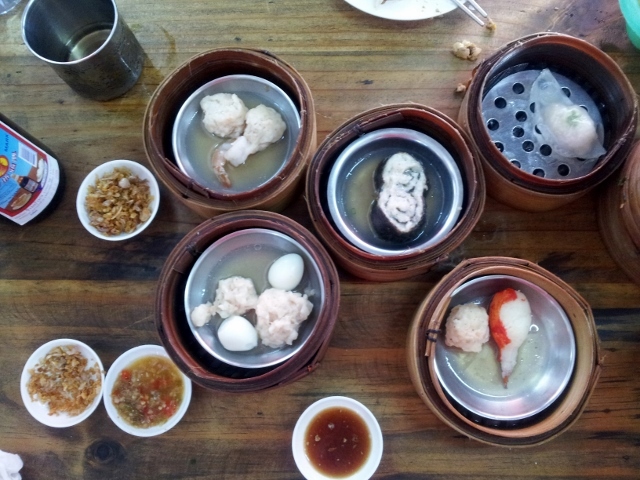 Over the decades, I have tried nearly every Dim Sum place in Chiang Mai from the MK Restaurant chain to the more expensive establishments like the Chiang Mai Orchid and Royal Princess Hotel. I am usually limited of how much I order by the price of each steamed basket – the portion similar to the size of a Spanish tapas. 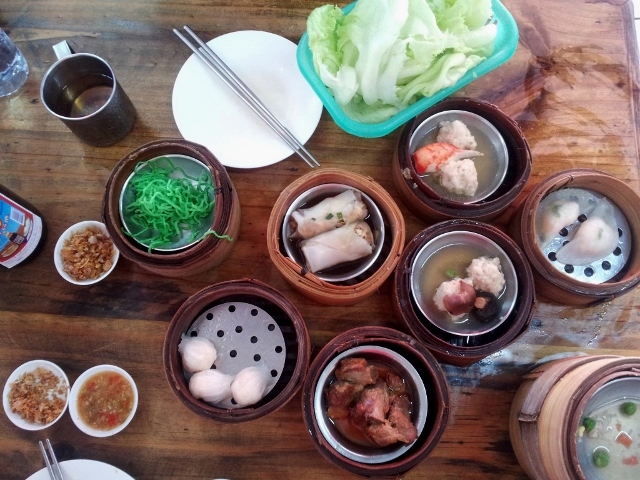 Now there is a new restaurant on the block that serves high quality Dim Sum using toxin-free vegetables from The Royal Project at very affordable prices, averaging THB 20 (approx 65 cents) per serve – Toey Dimsum. Free ice tea is available on every table. The staff take your order at the front counter where you can point and choose which dim sum you would like. They steam them and bring them to your table in no time. Your bill is calculated at the end when the owner comes over and counts the empty baskets. Very easy! 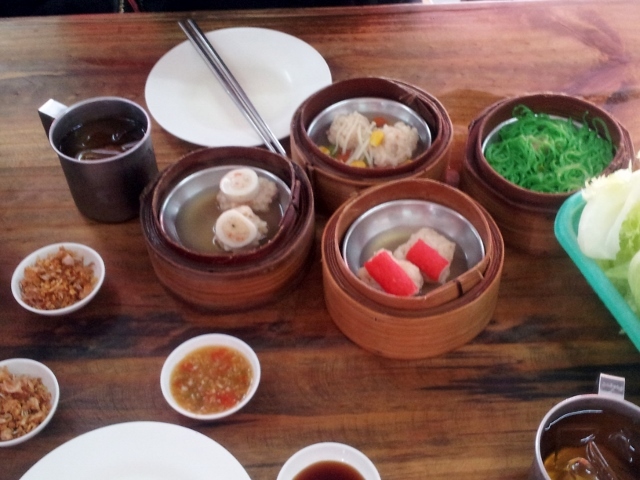 This entry was posted in Chiang Mai, Culture, THAILAND, TRAVEL and tagged Dim Sum, the best value dim sum in Chiang Mai. Bookmark the permalink.